The Association of Test Prep, Admissions, and Tutoring Professionals is pleased to announce the launch of Tutocracy, a web-based educational platform built by tutors for tutors. 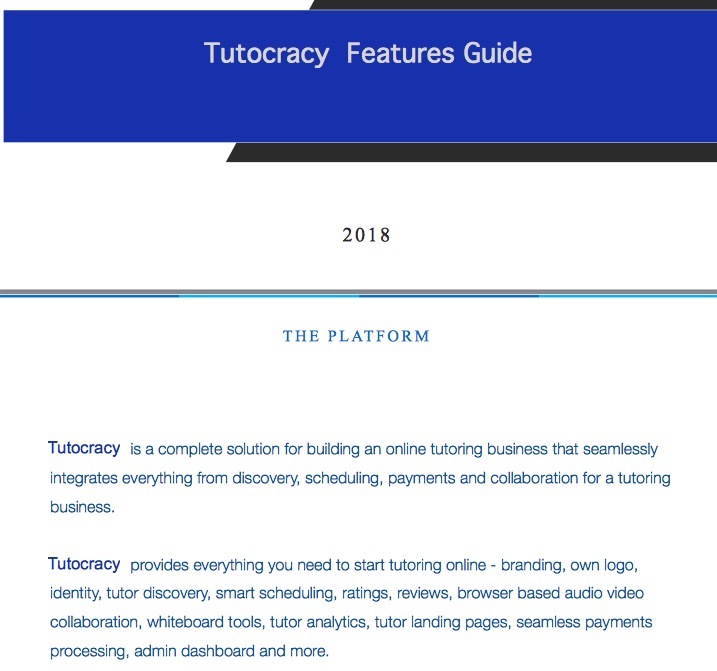 Not unlike our other services (Score It Now!, Gig-Finder, and our Private Label SAT/ACT Books), Tutocracy was made to be accessible, effective, and economical. Created to help the #smallbutmighty tutoring & admissions businesses around the country, Tutocracy includes scheduling, billing, web-tutoring/integrated white-board, and micro-lesson hosting. What’s the catch? We’re a commission based site and we charge a fee based on revenue (15%). You determine your rates or course fees (and of course keep 85% of the revenue). We provide the technology as well as integrated SEO help! If the math makes sense, take us for a test drive by registering as a Tutor at www.tutocracy.com. Or, if you want to learn more beforehand, click the link below to view all the features of Tutocracy.